Country Montessori School allows children to develop freely within a prepared environment. Our classrooms possess a certain order and provide the opportunity for children to develop at his or her own speed, according to his or her own capacities. This helps them acquire inner guidance and an understanding of themselves and the world around them. Montessori education fosters the natural curiosity and wonder of children to create a lifelong love of learning. The method moves the child from concrete experiences in the primary classrooms to abstract concepts in the elementary classrooms. 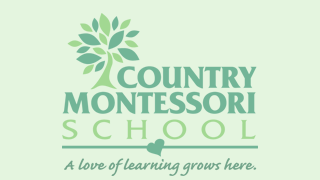 Students at Country Montessori School receive an education that focuses on the development of the whole child; intellectual, physical, social, emotional, and spiritual. The child’s natural sense of wonder, exploration, discovery, independence, and concentration are nurtured in the classroom.